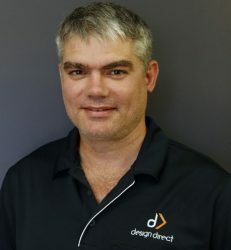 Design Direct is a dynamic and innovative building design practice which has been operating since 2009, with both offices in Bundaberg and Hervey Bay. Design Direct directors, Mat Sheppard and Tyson Lochwood are committed to developing their reputation for providing a quality service but also to strive to meet each clients presented challenges and exceed their expectations. The company maintains a licence with the Queensland Building & Construction Commission (QBCC) for Building Design Medium Rise (#1162156), along with being members of the Building Designer’s Association of QLD (BDAQ) and Master Builders QLD. Mat has in excess of 30 years building design and working within the architectural industry. He was the Manager and Senior Designer of Payten and Roger design group’s Bundaberg office and prior to this as Senior Designer with Bauhinia Architects in Rockhampton where he undertook a diverse range of projects from concept to completion. Mats passion is designing innovative buildings that are functional, stylish and environmentally responsive. 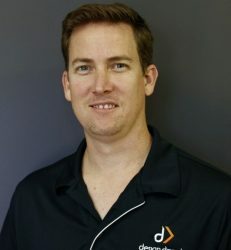 Tyson began his career as an Architectural Draftsperson after completion of a Diploma in Building Design & Technology. He excelled in his position working on a large range of residential and commercial projects acting as the Lead Draftsperson. With more than 10 years’ design experience, he can lead complex projects and has an incredible ability to foresee and resolve design issues at early stages. 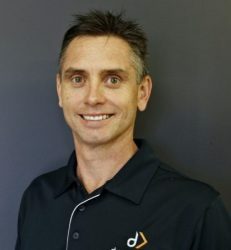 John has been with the Design Direct team since mid-2016 and brings with him more than 19 years’ experience from many building design and architectural firms in Queensland primary working on residential buildings. From a simple client brief he can provide conceptual designs and complete detailed contract documentation. John has a keen eye for details and excels in providing high document accuracy. 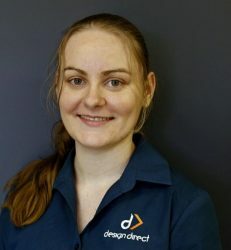 Brooke started with the Design Direct team mid-2015. Brooke manages all reception and administrations tasks and provides assistance to all project design staff. She holds a Certificate III in Business Administration and is currently studying a Bachelor of Accounting and Business.